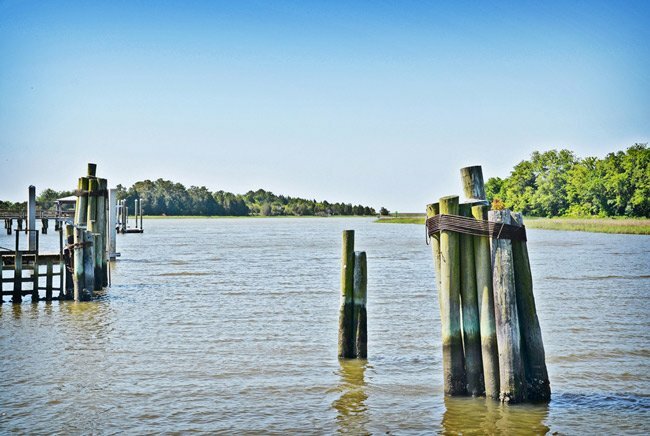 The banks of Jeremy Creek in McClellanville were originally inhabited by members of the Sewee Indian tribe. In fact, the inlet is named for King Jeremy, a Sewee chief who, along with his tribe, abandoned this area prior to the arrival of European settler Thomas Lynch. Lynch, an Indian trader, settled along the creek in the early 1700s. McClellanville, as the area came to be known, became more populated when namesake Archibald McClellan divided and sold Pointe Plantation. Lots were purchased by wealthy nineteenth-century planters who wished to summer by the creek. 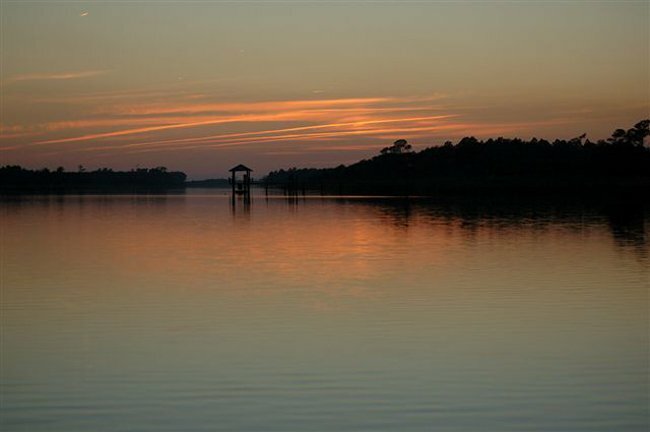 Following the Civil War, nearby planters along the Santee River abdicated their rice fields due to the loss of slave labor and moved to the hamlet of McClellanville. Jeremy Creek constitutes the only water access to this fishing village. Both of the above photos show the dolphin moorings in Jeremy Creek. A dolphin mooring is a man-made fixture that rises above the water line. It can be used for mooring or to display navigational aids.